If you or a loved one has been injured in an accident, the personal injury lawyers at Zinda Law Group can help. Injury victims are often left with not only physical pain but also financial and emotional burdens that can take months or even years to overcome. We are here to ensure you won’t have to face this difficult time alone. Our accident attorneys have helped thousands of clients get their lives back on track after an injury. We have the experience and resources necessary to help you pursue the justice and compensation you deserve. Our no win no fee lawyers can answer your questions and advise you on all your legal rights so you can make an informed decision on your best path forward. Our firm also believes that an injury victim should never have to worry about their ability to afford legal representation. That is why we offer free case evaluations and why you will pay nothing unless we win your case. That’s our No Fee Guarantee. 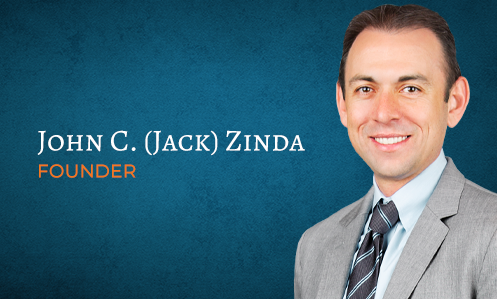 To learn more about how our firm can benefit you, call Zinda Law Group today at (800) 863-5312 for a 100% free consultation with our personal injury lawyers. Our accident lawyers have extensive experience handling a wide range of personal injury claims, including car accidents, 18-wheeler wrecks, wrongful death, motorcycle accidents, dog bites and animal attacks, drunk driver crashes, and much more. Our firm is devoted to providing each client with all the resources of a large firm but with the individualized attention of a small practice. Unlike many other injury firms, we have the ability to conduct investigations, hire expert witnesses, and utilize cutting-edge technology to help you build the strongest case possible. The personal injury lawyers at Zinda Law Group can help you seek the full and fair recovery you deserve. Our team is standing by 24/7 to assist you, so call us at (800) 863-5312 to get started with a free consultation with our accident attorneys. Zinda Law Group can help you pursue the maximum compensation you deserve for medical bills, property damage, lost wages, pain, and suffering, and all the other ways the accident cost you. As our client, you will pay nothing unless we achieve a favorable settlement, judgment, or verdict for your personal injury claim. That’s our No Fee Guarantee. Call Zinda Law Group today at (800) 863-5312 to receive your 100% free consultation with our personal injury attorneys.